Business is often said to be a male-dominated world, and in the Muslim community – where female modesty is held at a premium – one might think that was doubly the case. However, a new crop of female Muslim entrepreneurs is defying this stereotype while cashing in on the rapidly growing market for Muslim-focused consumer goods. Take Sabah Nazir, who started her company Islamic Moments in 2004, designing and producing mainstream greeting cards. 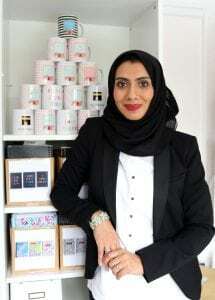 In 2011 she had an epiphany when she realised the market was not catering for the modern Muslim consumer, and decided to redesign all her products “around the Muslim market”. The company now has a portfolio of more than 300 Islamic design-led products from greeting cards to notebooks, and its products are sold in over 20 countries. “I was determined to create a platform where we became that aspirational lifestyle brand for young Muslim consumers to meet their lifestyle and aspirations in accordance with their faith,” she says. According to a report by Thomson Reuters, Muslim consumer spending on food and lifestyle products and services was estimated at $1.8 trillion (£1.5tn) globally in 2014 and is projected to reach $2.6tn in 2020. And in the UK, around three million Muslim consumers contribute about £21bn a year to the economy. Major brands such as Mango and DKNY have begun to adapt to this audience by introducing more modest clothing ranges, but it has also inspired a raft of new start-ups from within the Muslim community – many of them formed by women. Tahir Mirza is co-founder of the Muslim Lifestyle Expo 2016, a showcase for Muslim-friendly brands being held this weekend in Manchester. He says that 60% of the 130 exhibitors taking part will be female entrepreneurs, showcasing everything from luxury prayer mats and Islamic toys, to fashion, accessories and cosmetics. “The stereotype of Muslim women stuck in the kitchen and carrying out household chores are long gone,” he says. One exhibitor will be the Mocktail Company, a producer of non-alcoholic drinks for Muslims founded in Watford this year. Founder Shahin Hussain told the BBC: “I’d always known growing up in Britain that the culture of being British and being Muslim sometimes conflicted, particularly at university when a lot of my friends were drinking. 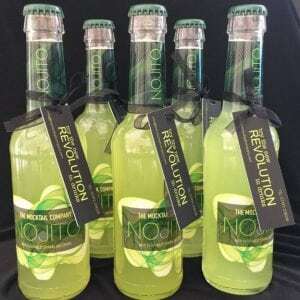 The firm only launched three months ago and claims to have already sold 19,000 bottles of its non-alcoholic mojito, the Nojito. It is also planning to release two new flavours including a strawberry daiquiri-inspired drink. However, it is not all plain sailing for female Muslim entrepreneurs. “The traditional working-class Muslim woman doesn’t often get the [financial] support to start a business and they don’t use traditional crowdfunding methods,” says Tahir Mirza. And being a mum can be a big challenge, says Shahin Hussain. “It is hard because my little ones are only two and four and obviously they demand all my attention. Still, with Muslim consumer demand growing so quickly, these female entrepreneurs look like they are in a good place right now.